When the US Navy send their elite, they send the SEALs. When the SEALs send their elite, they send SEAL Team Six. SEAL Team Six is a clandestine unit tasked with counterterrorism, hostage rescue and counterinsurgency. Until recently its existence was a closely-guarded secret. Then ST6 took down Osama bin Laden, and the operatives within it were thrust into the global spotlight. 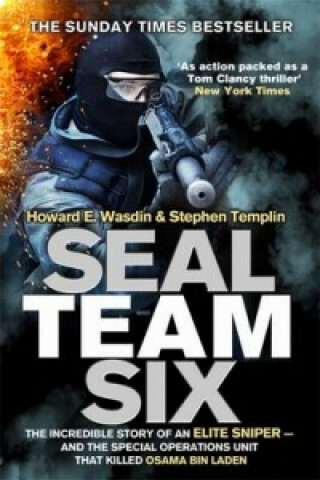 In this internationally bestselling chronicle, former ST6 shooter Howard Wasdin takes readers deep inside the world of Navy SEALs and Special Forces snipers. From the inside track on the operation that killed the world's most wanted man to his own experience of the gruelling ST6 selection processes to his terrifying ordeal at the 'Black Hawk Down' battle in Somalia, Wasdin's book is one of the most explosive military memoirs in years.